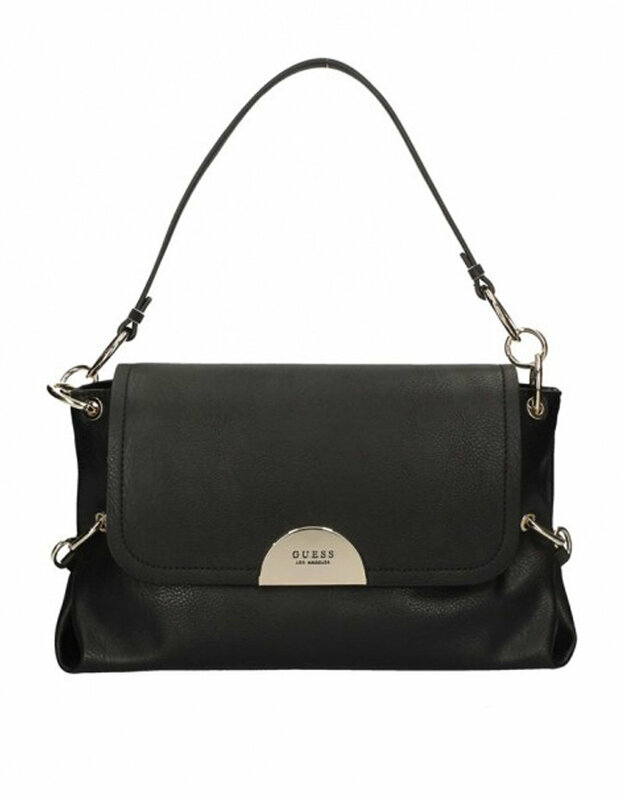 Guess Cary Shoulder Bag. Spacious enough for all your essentials, this faux-leather hobo bag features a front logo detail, pale gold-tone hardware and a top zipper closure. Logo-print lining, exterior slip pocket and interior pockets. Ring details and removable tag keychain.